I don’t know why more people don’t travel to Serbia. This landlocked Balkan country has way more than you would expect from a country of its size. Whether it’s the bustling streets and thriving nightlife of cosmopolitan Belgrade to the colorful facades of Novi Sad to the wine regions of Fruska Gora, there’s a lot more to Serbia than meets the eye. So if you’re expecting a country of concrete, check out this guide to my top 5 favorite places to visit in Serbia from a Balkanphile who has visited Serbia not once, not twice, but three times in the past three years! I recommend giving yourself at least one week if you can to visit Serbia. This will allow you to see the north of Belgrade quite thoroughly. 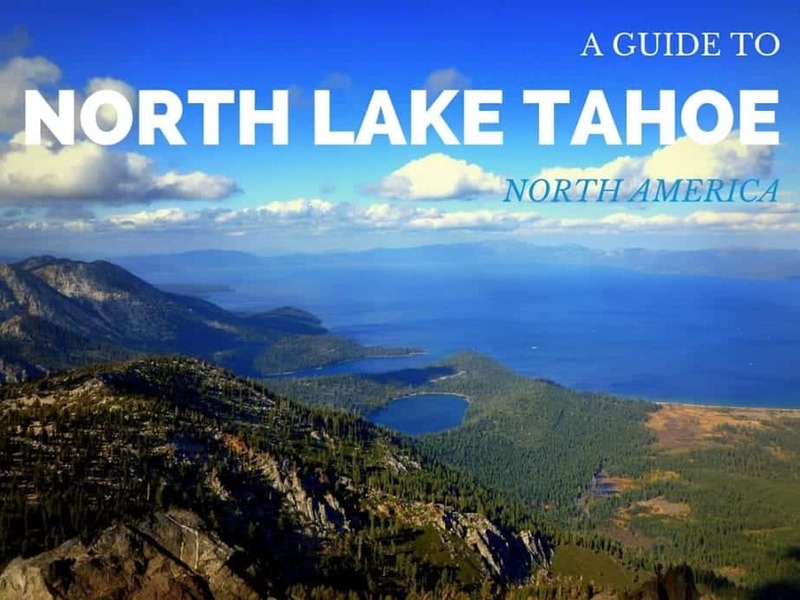 However, if you have more time, you could easily expand southwards and westwards, covering cities like Kragujevac and Niš or the beautiful Tara National Park in the western portion of Serbia bordering Bosnia. However, hopefully, this list gets you started! Here are 5 incredible places to visit in Serbia. Of course, we do have to start with Belgrade. Yes, it’s the city that everyone knows Serbia for, but it’s for a reason. In my esteem, Belgrade is one of the best cities in the entire world. It has striking architecture that is a testament to its better, richer days as the economic and political heart of Yugoslavia. Whereas transitioning from communism to capitalism has been great for the majority of countries, in Belgrade, the story is not quite so simple. “Yugo-nostalgia” is real. There are countless things to do in Belgrade, but one of the most eye-opening is to visit the House of Flowers, the mausoleum where Josip Broz Tito, the leader of Yugoslavia, is buried. You can also check out the adjoining Museum of Yugoslavia next door, whose cost is bundled into the price of admission for the House of Flowers (400 dinars, about $4 USD). 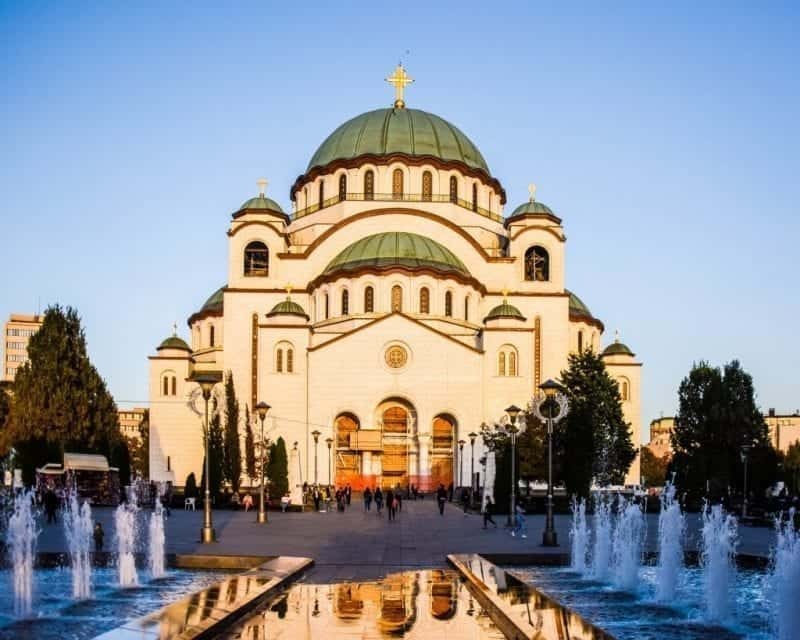 A few of our other favorite things to do in Belgrade include check out the thriving café culture in the many kafanas in Dorćol and Skadarlija, see the sun set from Belgrade Fortress, explore the sprawling Kalemegdan Park, spend the nights dancing on one of the houseboats (splavovi) on the Sava River, and checking out the brutalist architecture in Novi Beograd. 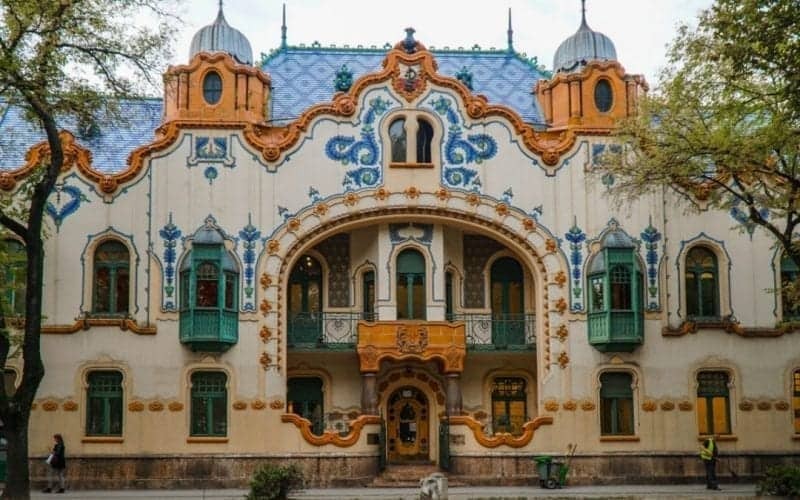 Subotica is a common day trip from Belgrade as it’s only two hours by car and yet a world’s away in terms of culture, cuisine, and even language. The city is 10 kilometers from the border with Hungary and it shows in everything from the street signs in Hungarian to the langos on sale in the Town Square. 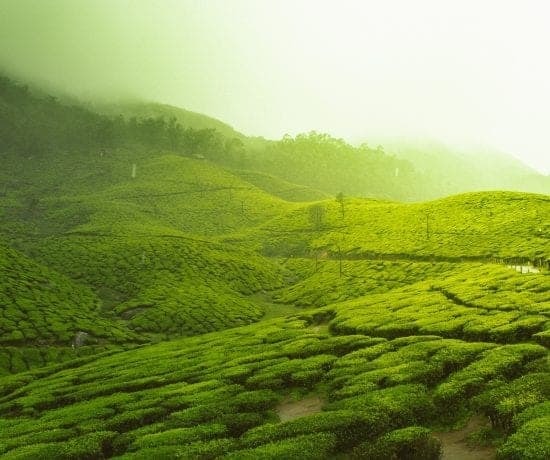 It is known for its art nouveau architecture which is simply stunning, the likes of which you’ll find few comparisons. Don’t miss the beautiful Town Hall, the disused but beautiful Jewish Synagogue, and my personal favorite, Reichle Palace, the apartment building turned museum that is one of the most decadent-looking buildings in all of Europe. You’ve likely started to hear chatter about Novi Sad. It’s slated to be one of two European Capitals of Culture in 2021, and a result, a flurry of renovations have taken place in this quiet second largest city in Serbia. 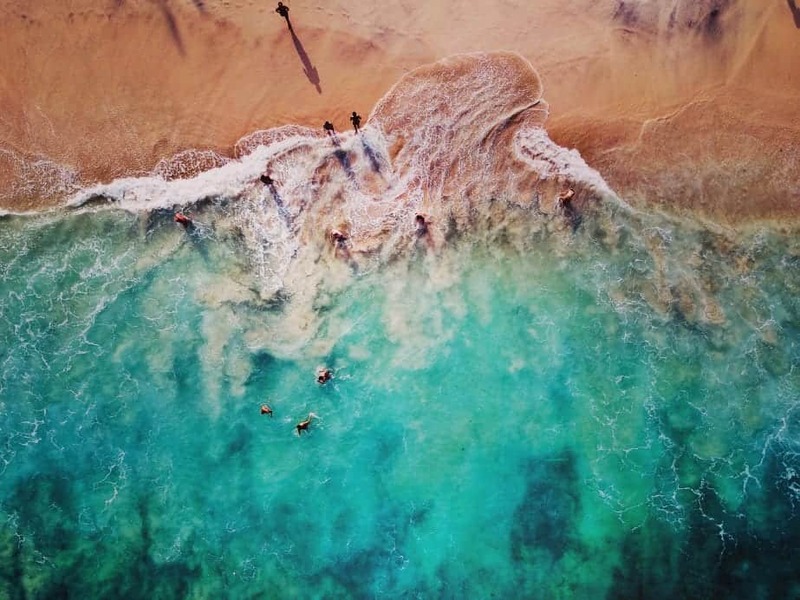 It also got a nod from Lonely Planet as one of the best places to be in 2019 – so it may not be a secret for long! In Novi Sad, don’t miss Petrovaradin Fortress, nicknamed “Gibraltar on the Danube.” This is also where the famous EXIT music festival is held, so if you’re after a music festival in an unforgettable location – here’s your place! But beyond the fortress, Novi Sad is home to an incredibly colorful downtown filled with hip cafés and delicious restaurants serving Serbian favorites. Don’t miss the wine bars serving local wine – and when I say local, I mean local, as the wine region of Fruška Gora is right on Novi Sad’s back doorstep! Other things to do in Novi Sad include walk around the beautiful Danube Park, cross one of the several constructed bridges that connect Novi Sad to Petrovaradin which were destroyed during the NATO bombings in 1999, and go on a day trip to the monasteries in nearby Fruška Gora (my favorite is Krušedol with its beautiful red gatehouse). A short drive away from Novi Sad, this village is worth a visit all on its own, and it makes an excellent jumping off point to exploring the larger Fruska Gora wine region, part of the autonomous region of Vojvodina. 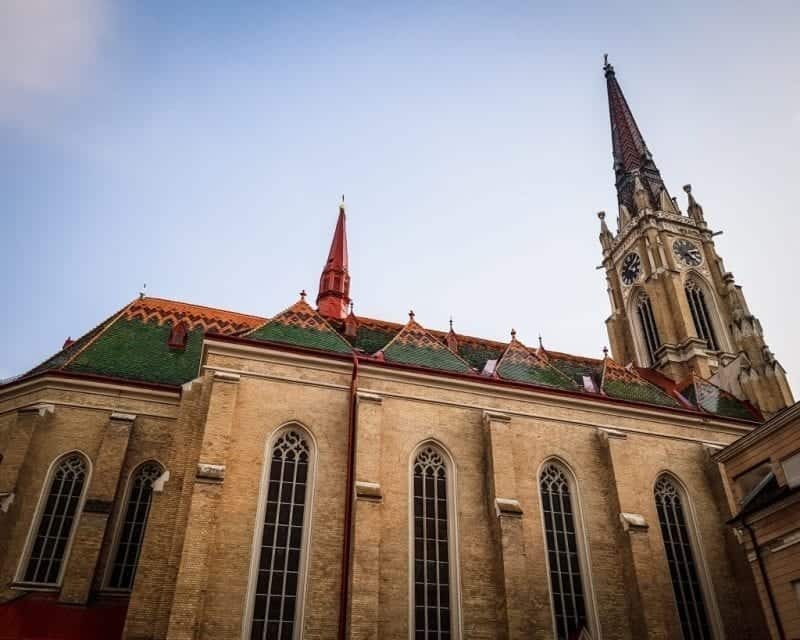 This town is also benefiting from the influx of capital that Novi Sad is receiving as part of the European Capital of Culture program, so don’t be surprised to see the small village being beautifully renovated during your stay in Serbia. This is the best place to try local Serbian wines, which are deliciously underappreciated by the world at large. Sremski Karlovci is home to one of winemaking’s most interesting secrets: bermet, an herbal Serbian dessert wine that was so beloved during its time under Austro-Hungarian rule that cases were ordered to be on board the Titanic (and are now sadly under the sea, RIP). Besides wine tasting at one of the local wineries, we recommend visiting the Lady of Peace Chapel just outside the square (where several important treaties were signed amongst warring parties). The town square is also well worth a visit, for its photogenic qualities as well as its handful of important museums and landmarks. Here, you’ll find some museums such as the Sremski Karlovci Museum, the Culture Centre Gallery, and even a beekeeping museum! One of Serbia’s four UNESCO sites (plus one in Kosovo), Studenica Monastery is perhaps the country’s most famous Orthodox monastery. The monastery dates back originally to the 12th century; however, it’s been a living, breathing monastery that whole time, so there have been constant updates made throughout the centuries to keep it a livable, functional monastery. 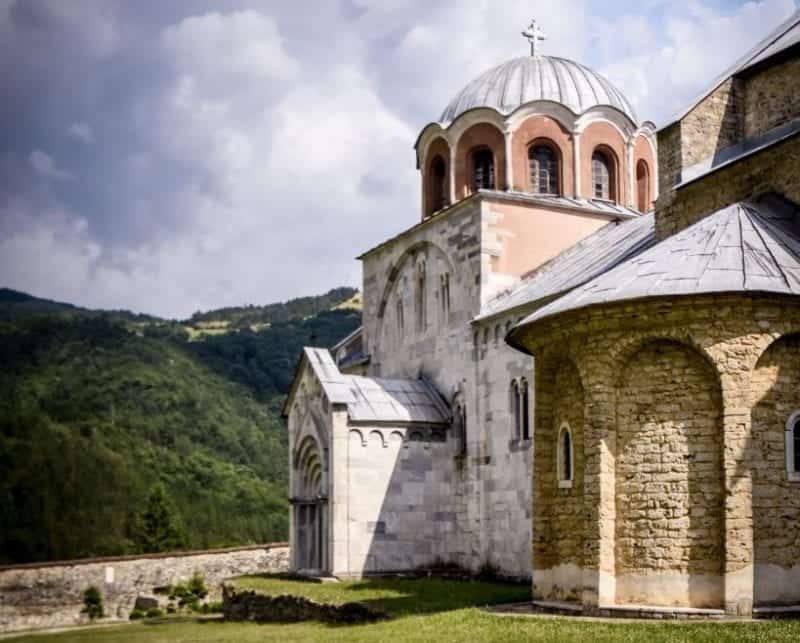 While Studenica itself is beautiful – just check out the gorgeous Orthodox murals of saints inside or the ornate gold iconostasis in the church – I believe that it’s its soundings which truly steal the show! 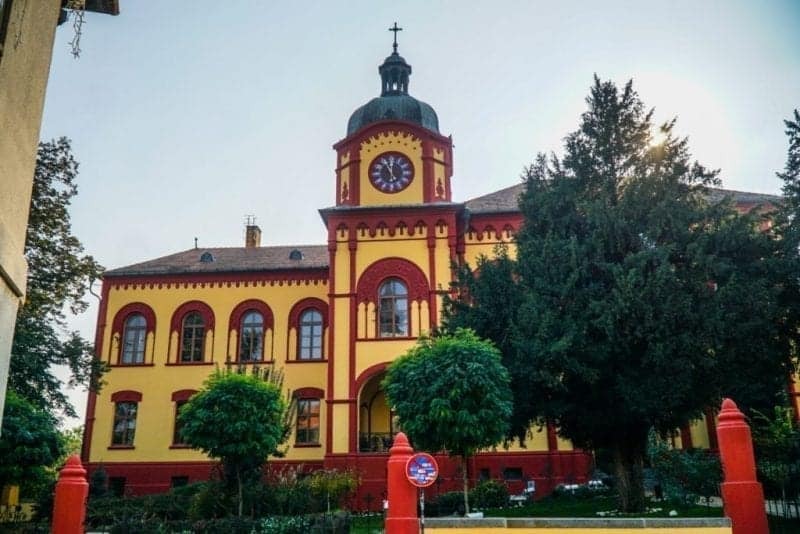 It’s best visited as a day trip from nearby Novi Pazar or Kraljevo, both of which are interesting cities in Serbia worth spending some time in. 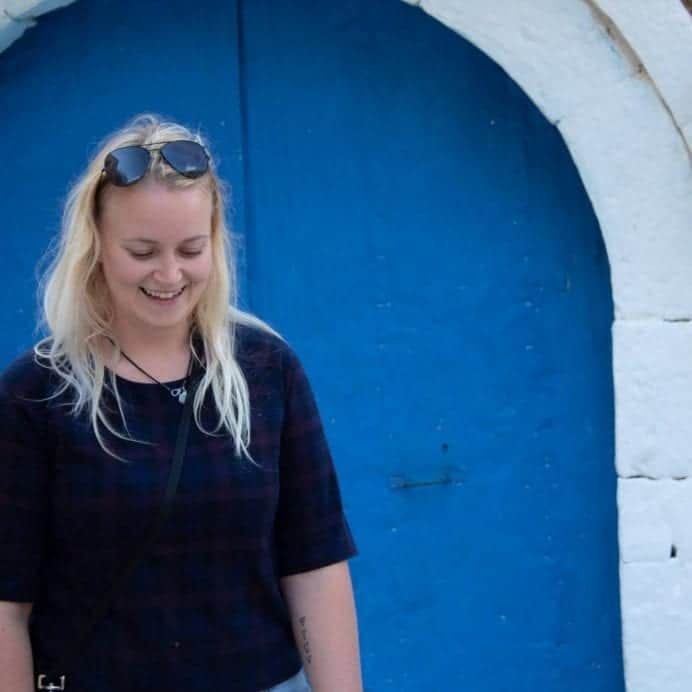 Author: Allison Green is a dedicated Balkan-phile based in Sofia, Bulgaria, where she runs the Balkan travel website Sofia Adventures. She’s visited nearly every Balkan country but if she had to choose, she’d pick Bulgaria, Albania, and Serbia amongst her favorites. She spends her days going back and forth between cappuccinos and local wines and occasionally writing and photographing cities in between. True! I didn’t know much about Serbia until visiting either. Ended up going back three more times now! Love Belgrade.